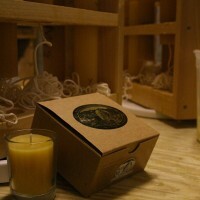 Our products are all hand-made in small quantities. 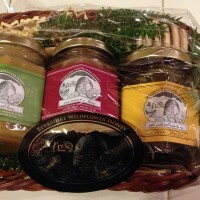 We sell them at the Great Barrington Farmers’ Market (Mothers’ Day through October), various holiday markets and also offer them online. 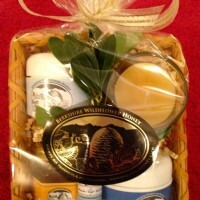 We think you’ll love our all natural beeswax skin care products: the ultra rich hand cream with an olive oil base (great for elbows and feet, too), the silky smooth facial moisturizer with a jojoba oil base, and the sweet almond oil-based lip balm. 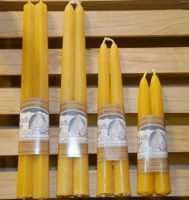 And please try our 100% beeswax candles. 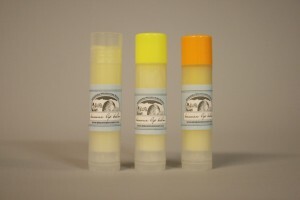 They are dripless and burn with no residue. The votives last 7 or more hours. 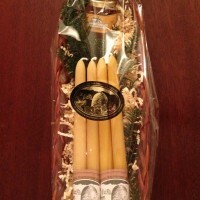 For longer life, trim candle wicks to 1/4″ between uses. 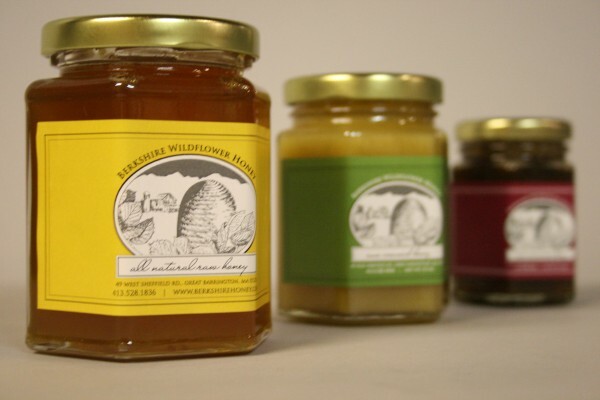 A 5.5 oz jar of each of our honeys (plain, cinnamon and creamed) and a wooden honey stirrer. 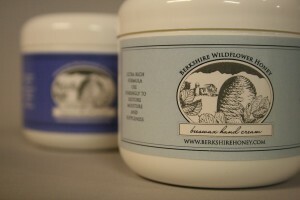 Sample sizes of our honey, seasonal facial moisturizer and lavender hand cream, a lip balm and a votive in glass. 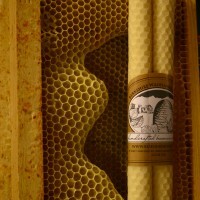 We raise honey bees, sell raw, unfiltered honey, beeswax candles and beeswax skin care products and do public speaking.